They say all is fair in love and war, but some days your relationships feel more like war than love. A storm is brewing, and you feel like the next time you find a pair of dirty socks on the floor or an unwashed dish in the sink, you might explode. 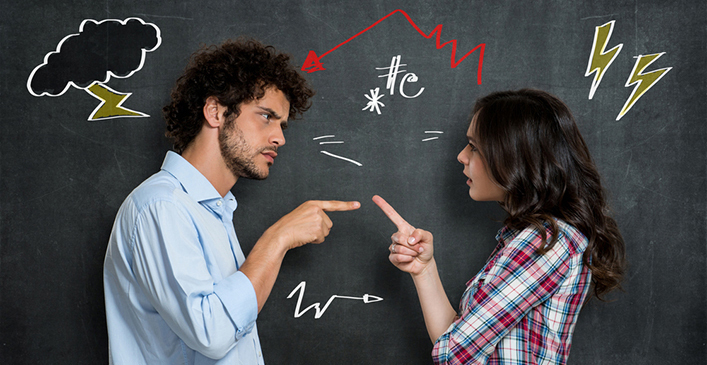 While you might be tempted to avoid any form of confrontation with your partner there are plenty of reasons why arguing, when done properly, can be healthy for a relationship. Arguing helps you learn about each other, and yourself. You may find that your partner’s and your own opinions have changed.Perhaps you have finally come to agree on something, or you’ve decided that one of your favorite topics to argue about is no longer important to either of you. A healthy argument can lead you to learn any number of things about yourself and your partner.